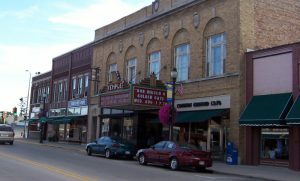 The Temple Theater sits inside a classical revival building constructed in 1922 along Viroqua’s Main Street. This elegant venue entertained people from across the area with vaudeville shows, silent movies, musical productions, and other civic events during the mid-20th century. Like most theaters, it closed for a while. A 2002 renovation gave the Temple Theater new life, and it entertains audiences once again. Two stores and a Masonic Temple share the building. The Temple Theater itself now serves as a civic and cultural center for the area, hosting a variety of shows and performers. The main venue features 550 seats and a new sound system installed in late 2015. 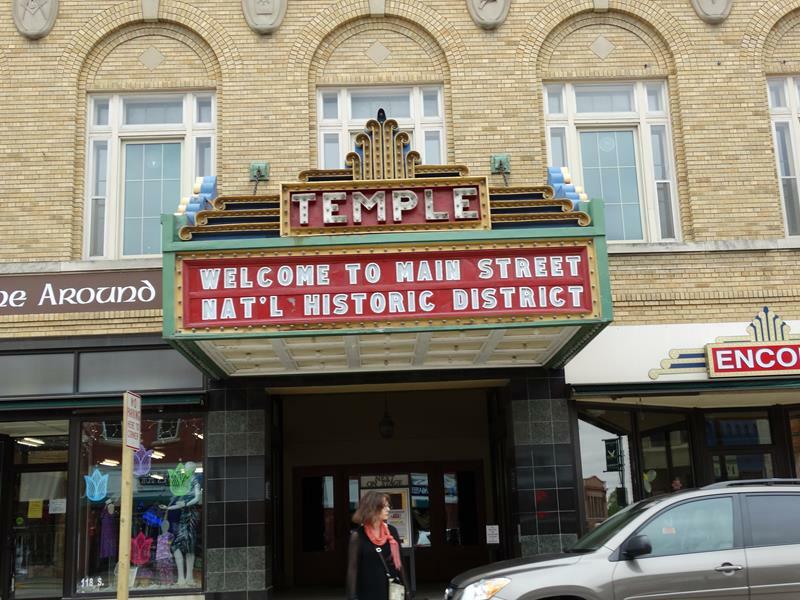 You’ll find the Temple Theater along Main Street in downtown Viroqua; four state highways (U.S. 14, U.S. 61, Highway 27, and Highway 82) go right past it. Highway 56 crosses a few blocks away.